Developers driving forward controversial plans for a new golf course in Sutherland have accused opponents of issuing a “mish-mash of inaccuracies and inventions”. 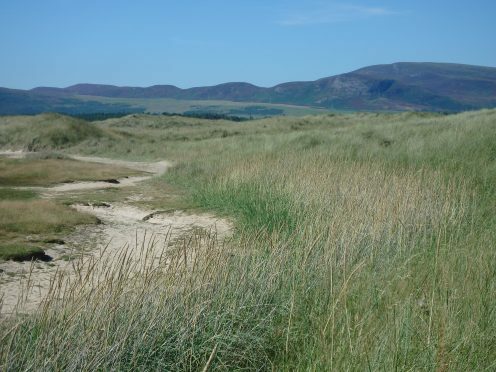 They reacted angrily to an advert placed by campaigners, who themselves allege “misinformation” put out by the backers of the proposed Coul Links course, just north of Embo. It is the latest episode in the long-running dispute over the proposed multi-million pound development. US businessman Todd Warnock and globally-renowned golf course developer Mike Keiser are behind the plans for an 18-hole course. Following publication of the advert placed by the Not Coul campaign group, a spokesman for Coul Links insisted they had been “publicly open” about the project from the outset. He said: “We have the overwhelming support of local residents, particularly those who live nearest the site, as well as a number of community and public bodies, including VisitScotland, Highlands and Islands Enterprise, the University of Highlands and Islands Golf Management Programme, Dornoch Community Council, Dornoch Area Community Interest Company, Embo Trust, Scottish Crofting Federation and every single golf course in the area. Dr Tom Dargie, chairman of the Not Coul campaign and a professional ecologist, said the reasoning behind placing the advert was to act as a “rebuttal” to numerous statements about the impact on the environment made by the developers since announcing their plans. An online campaign against the project has received almost 90,000 signatures. Consultation events over the golf plan took place over the last few months, and Mr Warnock has claimed that surveys showed over 86% of the public were in favour of the development. The proposal, submitted to Highland Council in September, highlight the potential for an 18-hole championship course and practice areas. The “world class” course would stretch across an estimated 805 acres. The development would be part-owned by the Embo Trust, and the cost is estimated at £8million-£10million. If approved, work on the project is expected to begin in spring, with the first players teeing off in March 2021. The petition is the latest in a line of objections, such as those from an alliance of conservation groups including RSPB Scotland and Buglife.